Everyday home based activities such as cooking, preparing snacks and helping themselves to their own drinks provide great opportunities for learning as well as for helping to nurture a sense of well-being and belonging in children, and contributing towards the development of their self-esteem. 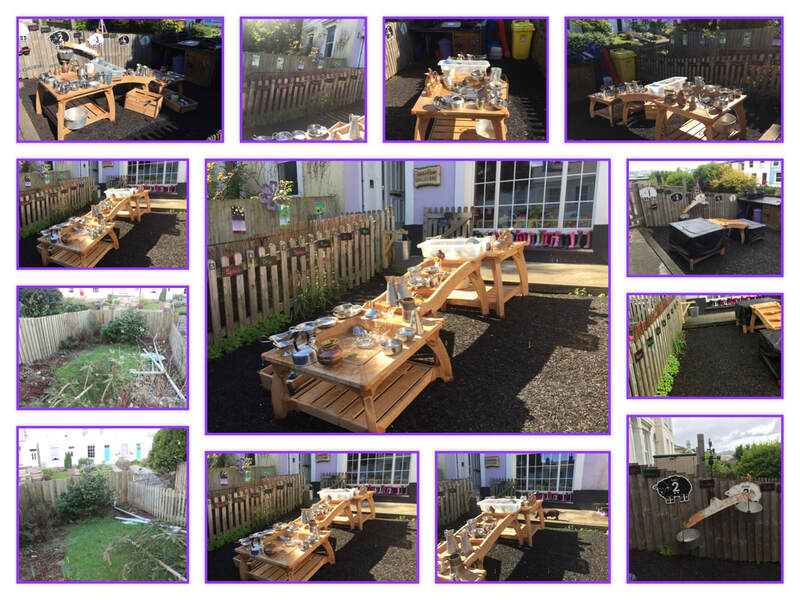 In the past we have spent many happy hours enjoying sand and water play in either the front or rear playgrounds, or enjoying role-play in our purpose built wooden playhouse for the children, complete with purple carpet and a wooden fitted kitchen! Our main goal as Registered Childcarer’s is to have fun with your child, to improve their social skills and to encourage creative expression. 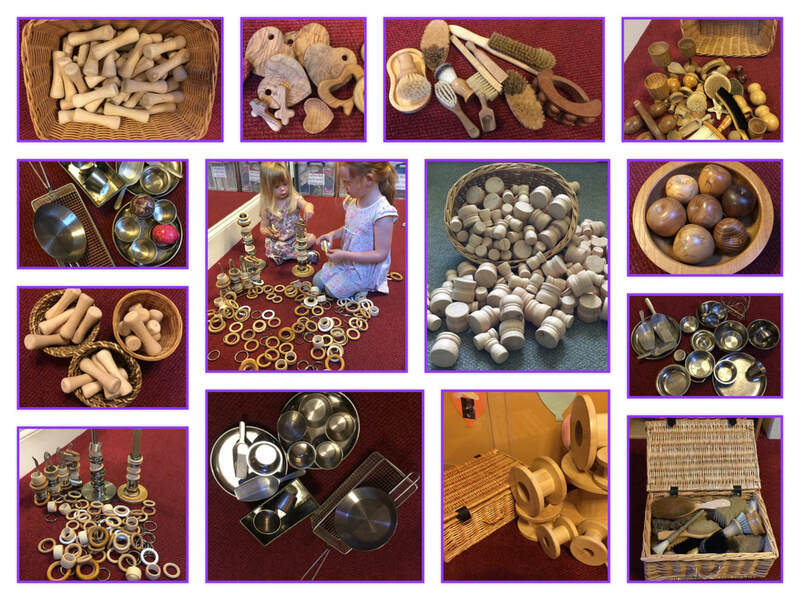 Young children learn best from participating in and observing the environment around them and we provide a variety of toys and resources including a vast array of tactile and sensory toys for the little ones for example Treasure Basket exploration as you can see in the above pictures. Older children are offered a little extra gentle academic stimulation and can participate in a variety of activities ranging from phonics, numeracy, art and craft projects to games, songs, finger plays, story telling, creative dramatics, exercise, science and much more. Music helps to develop young brains and plays a strong role in our day to day activities. We have a set Rhyme Time session each day when all of the children are positively encouraged to join in and use our range of musical instruments and various puppets and props which help to bring our sessions to life. Some of the music we use may include classical, children’s songs by a variety of artists, foreign language tapes and good old fashion popular Nursery Rhymes. Each week your child's Key Worker, will plan a number of focused activities for your child to engage with, these will be linked to your child's current interests and developmental needs. We share these plans on a weekly basis via our comprehensive weekly blog which is sent out each weekend to all our parents. At the end of each weeks blog you will see two pdf files showing all of our plans and topics for the coming week.